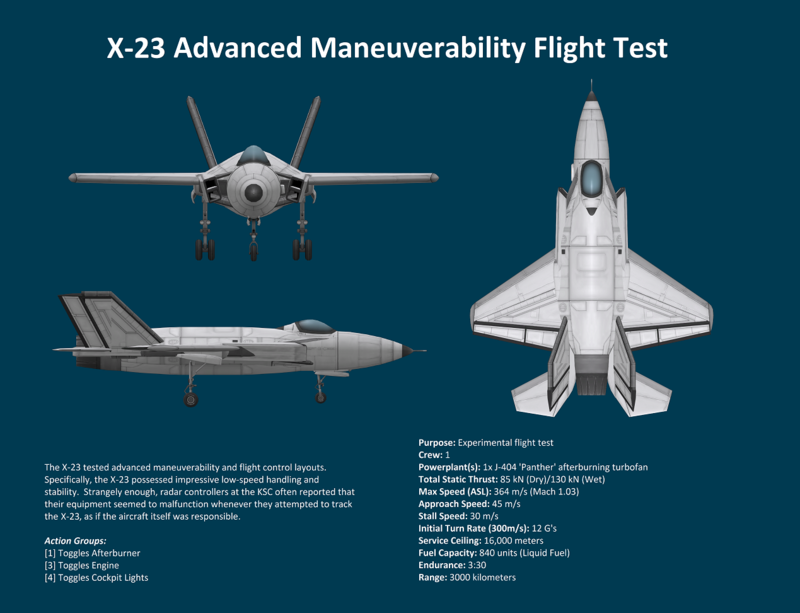 The X-23 tested advanced maneuverability and flight control layouts. Specifically, the X-23 possessed impressive low-speed handling and stability. Strangely enough, radar controllers at the KSC often reported that their equipment seemed to malfunction whenever they attempted to track the X-23, as if the aircraft itself was responsible.